The University of Notre Dame is one of six universities selected by USAID’s new U.S. Global Development Lab to offer these fellowships, which are officially known as the USAID | Notre Dame Global Development Fellowships. The Notre Dame Initiative for Global Development (NDIGD) was selected to manage this fellowship for the University. The other successful universities include Arizona State University, Rutgers University, University of California-Berkeley, University of California-Davis and the University of Chicago. John Dillon, a Ph.D. student in the Department of English, will complete his research at IBM in Bangalore, India. He will be working on the IBM Smarter Education Initiative. Elisa Ditta is working on her master’s degree in peace studies at the Kroc Institute. Her research project is titled “Challenges for Schools for a Culture of Peace in Post-Conflict Colombia” and will take place in Cartagena, Colombia. Craig Iffland, a Ph.D. student in the Department of Theology, will research “The Applicability of International Humanitarian Law in Contemporary Armed Conflict” in Johannesburg, South Africa. Stefanie Israel will research “Comparative Ethnography of Pacified Favelas” in Rio de Janeiro, Brazil. She is currently a Ph.D. student in the Department of Sociology and is also supported by the Kellogg Institute for International Studies. Emily Maiden, a political science and peace studies Ph.D. student, will undertake research on “Varieties of Democracy,” a Kellogg Institute project, in Cape Town, South Africa. Robert McCune will travel to Pretoria, South Africa, to complete research on a project titled “Measurement Metrics and Performance Evaluation of New Real Time Media Overlay Network Distribution Protocols.” He is currently a Ph.D. student in the Department of Computer Science. Cecilia Lero, a Ph.D. student in political science, will research “Varieties of Democracy,” a Kellogg Institute project, in Sao Paolo, Brazil. Michael Penta will work on a research project titled “Research on the Network Effects of Pacification.” He is a current Ph.D. student in the Department of Sociology and is also supported by the Kellogg Institute. Annette Ruth will travel to Bogota, Colombia, to complete research on “Zebrafish as an Animal Model to Study Trypanosoma Cruzi Motility.” She is a recent graduate of the Masters of Science in Global Health and is a current Ph.D. applicant in the College of Science. Lucia Tiscornia, a political science Ph.D. student, will undertake research on the “Varieties of Democracy,” a Kellogg Institute Project, in Cape Town, South Africa. Kelsey Whiting-Jones will participate in a research project called the “African Transitional Justice Study” in Cape Town, South Africa. She is currently a master’s student in peace studies at the Kroc Institute. 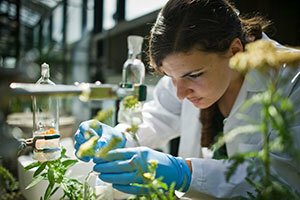 The research sites working with USAID to offer these opportunities are locally based organizations that have applied for graduate-level researchers to assist them in growing innovative solutions for global development challenges, with the hope of making a positive impact in communities around the world. NDIGD is working to build a just and equitable world by connecting faculty to corporate and governmental partners, training researchers, providing fellowship and research opportunities, and measuring the impact of global development initiatives worldwide. Originally published by Joanne Fahey at news.nd.edu on February 13, 2015.